A list of our favorite 10 best android tablet games those can be downloaded without paying any money. An android tablet makes the life much easier of an average gamer. You can be everywhere these days and still play the games you love. So while you ignore your surroundings and alienate your friends, allow us to recommend the best games for your Android tablet. The legendary fruit slicing game is at it again. 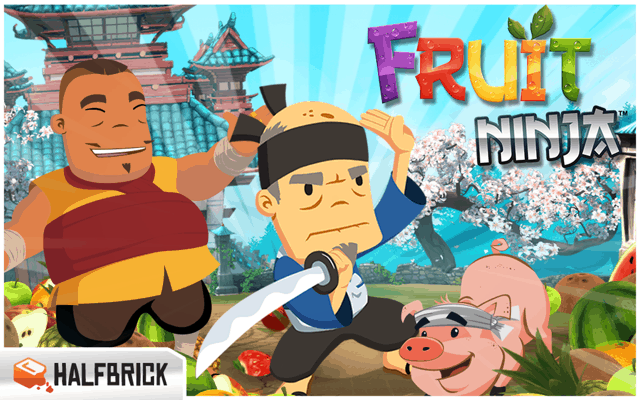 Fruit Ninja has been around for several years, and it is still one of the most popular games to ever release for tablets. With the swipe of a finger you can carve, smash and burst apart hundreds of colorful fruits and get addicted to breaking you own records. An evil unknown force has taken over various locations around the world and it seems to have control over people’s mind. The future of the humanity lies at stake and only you can save it. Ingress is a game that redefines the next generation of mobile games. Turning your actual surroundings into the game itself and turning you into a freedom fighting hacker. The game maps your location into a virtual world and encourage you to move around, choose a side and resist the evil powers that are trying to take over the world. It’s time to say goodbye to the old fashioned LAN-parties because you won’t be needing your computer for this cooperative game. Spaceteam is a 2-4 players team game that allows you to manage your own spaceship and well… shout and scream at your friends as they fail to stop the spaceship from falling apart. The game’s interface are quite simple, displaying you with some switches and buttons and clear instruction, however these instructions will also be sent to your friends who must be synchronized with the rest of the team or else it all falls apart. You Don’t Know Jackis the trivia game that helps you prove to your friends that you are less stupid than they are. 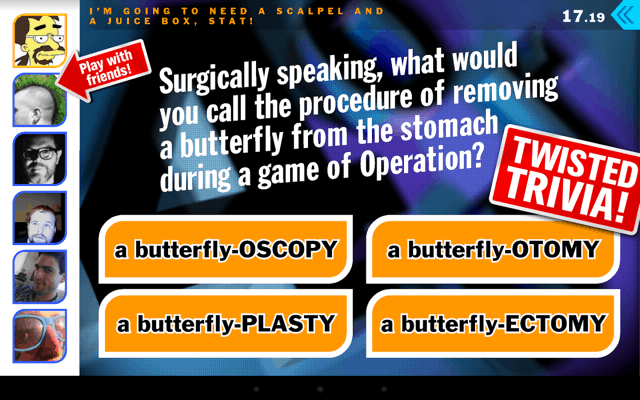 The trivia updates every week with new questions and hilarious topics such as Funky Trash, Cookie Fortune and Gibberish. Play against friends, enemies or total strangers. Every platform must have a good zombie hack n’ slash. For android tablets the winning one is definitely Dead Trigger 2. Survive the zombie apocalypse and fight for your life while eliminating zombies with various different weapons for your choosing. The app updates constantly with new locations and more weapons. Be alert, it’s highly addictive. You can sit on your couch all day and just let your tablet take you racing around the world with Asphalt 8:Ariborn. The game is one the best racing games to come out for mobiles. With mouth-watering graphics and gorgeous new locations, you’ll be burning engine and driving at wild speed with luxurious racing cars you can only dream to own. Dungeon Hunteris a fantasy RPG game that takes you into an epic dark world filled with mysterious evil creatures, knights and magic. Be a blade master, a mage or a sentinel, recruit your friends and build your own killer team in order to defeat evil once and for all. Shoot your way into space in order to save the galaxy from its immediate destruction. 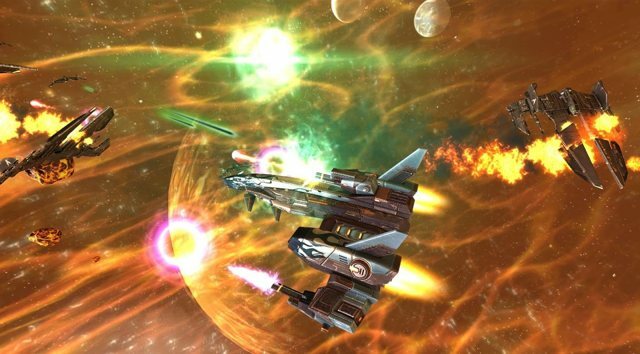 Galaxy On Fireis a space shooter that lets you build, upgrade and manage your own war-ships. The game features an addictive 10+ hours campaign and unlockable DLC’s that grants you additional missions and story add-ons. 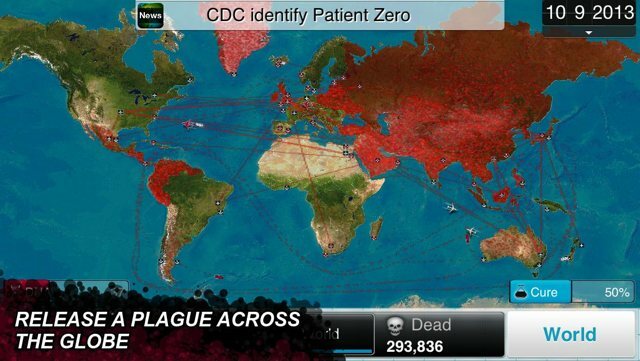 Plague Inc.is an intelligent and challenging simulation game with one simple mission: destroy humanity as fast as possible. This game is one of my personal favorites. It includes several different diseases such as viruses, bacteria, mind controlling worms and many more. The different plagues unlock as you level up by destroying the world with each one of these diseases. Control the symptoms, mutate your disease and infect everyone. Just to make it clear: the zombie virus level is the cherry on the top. Arcane Legends is an award winning MMO RPG with a great fantasy world and endless adventures. Choose your class and build your own hero, defeat your enemies and roam through the impressive world of Arcane Legend of the game with your friends. So these are the top 10 andorid tablet games specially optimized for larger screen and best of all, they are free! 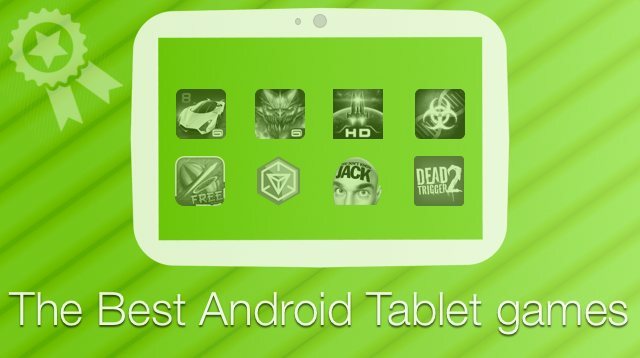 The 25 Best Free Android Tablet Apps..